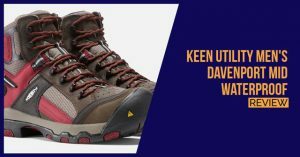 The KEEN Utility Davenport Mid is designed with comfort in mind and also to try and save you a few bucks when upgrading your work boots. This boot is constructed from a combination of synthetic and leather materials. The incorporation of the synthetic materials will drive down the price a little bit, without compromising on the durability too much. The shaft measures about 6 inches from the arch and this medium cut design is perfect for those working outdoors and having to face the elements constantly. The addition of the soft inner collar will help to reduce any possible chances of abrasions and will also make the shoes feel more comfortable from the start. This reduced break-in period will save you a lot of pain at the start. The composite toes included in these shoes are decent and will definitely work to keep the front part of your feet protected. Since no metal is used in the design, you need not worry about setting off metal detectors and the weight has also been significantly dropped for your comfort. We also like the fact that these composite toes are designed asymmetrically and this will allow you to feel the same in every shoe, without having the composite toe irritate the one foot. 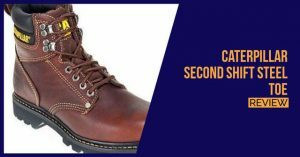 The boots also include a PU midsole for added comfort and this will mold to the shape of your feet and always maintain that same shape on the inside. The outer sole is synthetic and has been carefully designed to be slip resistant against not only water but oil spills as well. 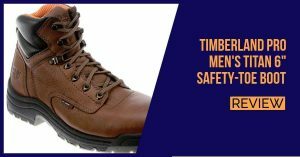 This should allow you to wear the shoes in the warehouse and outdoors, no matter the weather conditions. Finally, the entire shoe is waterproof and will keep your feet dry when walking through puddles. 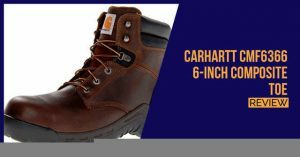 Unfortunately, the shoe will not keep your feet dry when standing inside an ocean or large body of water, but it will do its job on the smaller puddles and keep your feet dry when working. The only thing we do miss in these boots is the inclusion of antimicrobial properties to keep your odor-free. 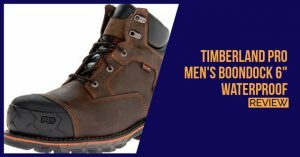 In terms of pricing, these shoes are a little overpriced when compared to all of the features that you will find in the Timberland PRO boots. The boots are still highly recommended if you feel the need to buy them and the design is actually really stylish. 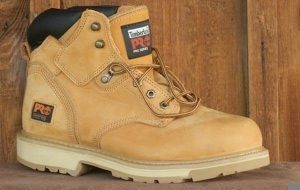 These boots will be ideal for all walks of life and almost any job will be able to use them.